Submitted by Challseus on 2014-06-30 21:12. NOTE: The series is moving to use the Dragon Age engine. For more information, checkout my Project Page At The Bioware Social Site. You can also now see videos of all the games in this series at my new YouTube Channel. Go to the Official Website for a full comprehensive guide to this module series. The Rose Of Eternity - Chapter 2 - Cry The Beloved is the sequel to the multi-award winning game, The Rose Of Eternity - Chapter 1 - The Coming. 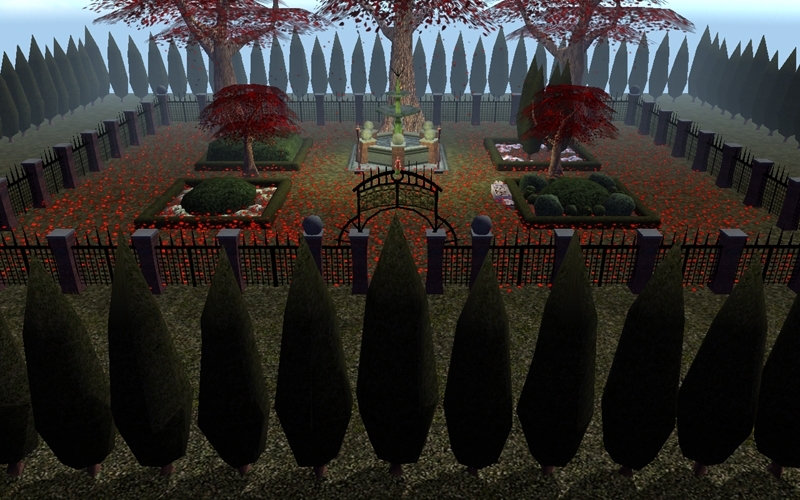 The former game has been inducted into the NWVault Hall of Fame, was awarded the silver award for the NWVault 2005 Module of the Year, and took home the 2006 Independent Games Festival award for best NWN module. A Walkthrough for the Dungeon of Summons can be found at the Official Website. - Totally redesigned, comprehensive Official Website, for all of your Rose of Eternity needs! - 9-12 hours of gameplay. - Bonds of Battle, a new custom system where the longer 2 party members fight alongside each other, the greater the bond grows, which unlocks special abilities between the 2. 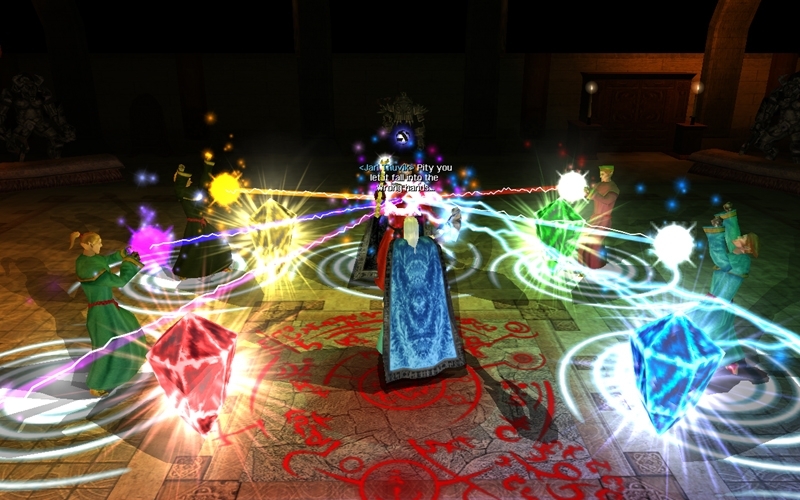 - Distinctive Development, a new way to customize your party member's various custom skills. - Passive Abilities, a new addition to the combat system, which allow certain party members to become progressively stronger the longer they are in combat. - Unison Abilities, which allow you to perform combination attacks with other members in your party. - 42 new pieces of custom music, bringing the grand total to 69! 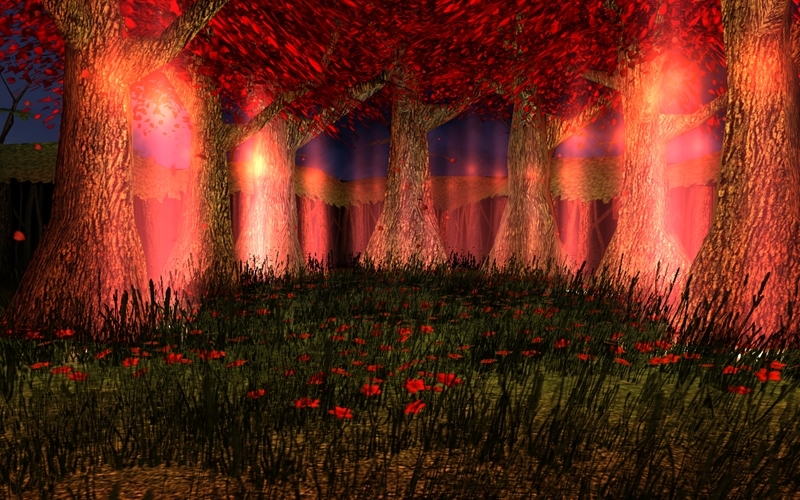 - Custom animation specific to "Rose Of Eternity", by community animation extraordinaire, Vaéi. - Custom models done specifically for "Rose Of Eternity", by DLA member, gaoneng. - Epic story and cast with over 20 important figures whose stories all intertwine with each other. - Favor system for party members, who will reveal more about themselves as they learn to trust you. - Custom Death System For PC & Party Members. 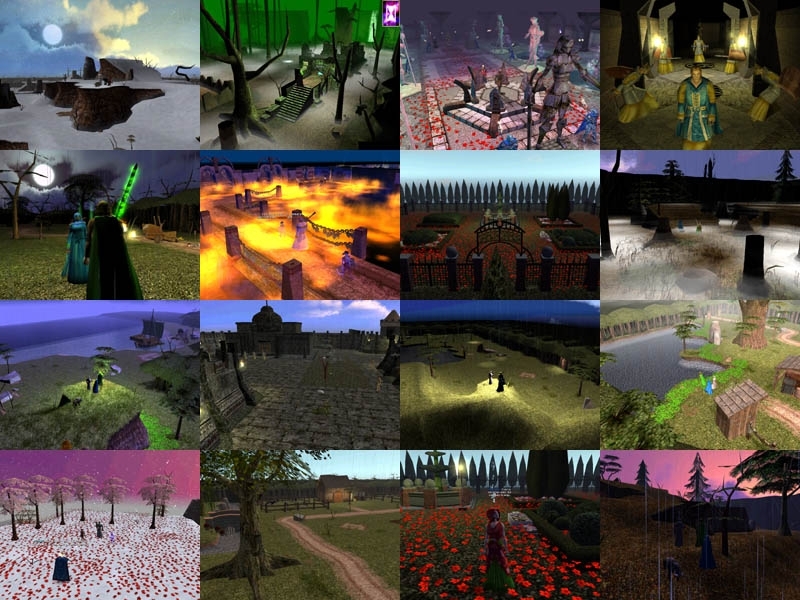 - Many custom tilesets used to create areas to give the world a totally unique look and feel. - Majority of in game cut-scenes are now skippable! - Be sure to take a look at the ReadMe, as it contains everything you will need to know to start your adventure, including what files you will need. - This game is a continuation of the story from "Rose Of Eternity - Chapter 1 - The Coming". If you have not played that yet, you should, so that everything in this chapter makes sense. - This game uses all resources from Chapter 1, including the music and hakpaks. See ReadMe for more details. CEP 1.01, CEP 1.52, and CEP 1.53. Mysteries of Westgate Available Now! The latest Dungeons & Dragons RPG has been released and is now available for download! 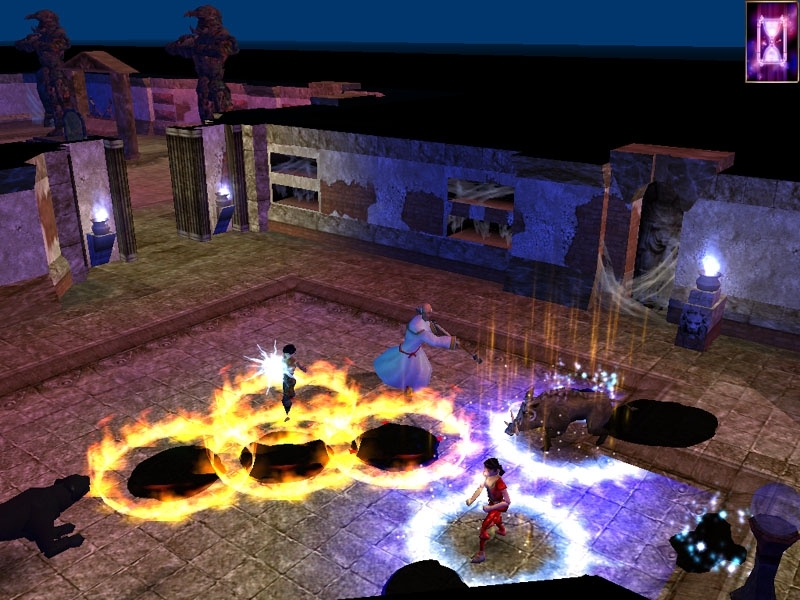 Mysteries of Westgate is the first Adventure Pack for Neverwinter Nights 2, developed by Ossian Studios, creator of the popular Darkness over Daggerford mod for Neverwinter Nights. This single-player game comes with over 15 hours of non-linear gameplay, an epic story of horror and intrigue with multiple paths and endings, new creatures and tileset, as well as brand new music and voice-over. Players will explore the bustling districts of the city of Westgate, the most infamous and corrupt port city in the Forgotten Realms, and encounter the rulers of Westgate's underworld, the deadly Night Masks! To play Mysteries of Westgate visit http://www.ossianstudios.com. and then the whole experience is spoiled by boring fights dragging on endlessly. The area design is mediocre, hardly any placeables are used and about the only lighting you get are glowing mushrooms that can be seen from miles off and make a hell of a noise. In the forest apart from a few flowers and trees all you get to see are torch brackets and signpost pointing to the whereabouts of dangerous animals. The latter really destroys immersion. It makes it seem like the animals are caged there and are a major tourist attraction. The encounters where often very predictable. You walk along a forest road crossing a river several times and you'll meet goblins at every bridge, but rarely anywhere else. Also in another area with very high grass you'll be attacked by snakes again and again if you stay on the road, but if you walk through the high grass there are no snakes hiding there anywhere. They are like highwaymen snakes. The hit points of creatures and people are very high. That in itself is not a problem because they don't cause too much damage, but it makes battles so much longer, especially if you need to roll a 17 or higher to hit someone. I rarely get more than one hit out of ten attacks - and yes, I used the provided character for the module. Then there are the 'last resort' attacks which should spice up battles, but all those coloured texts above creatures' heads just make it all look pretty much like a console game. And human opponents talk during fights... they don't just say something occasionally, if you're fighting more than one the screen is full of 'text bubbles' and they all say the same. There are about six different things they can say, but since they talk so much and they all have the same lines, even bosses, you've seen all they got to say after a few minutes. Nearly all the sub-quests are simple fetch and deliver quests. There wasn't a single one that was nearly as well written as the dialogues in the cut scenes or with people you meet along the way following the main story (which is more or less just finding Challseus and go to Dematol, nothing fancy either, but the dialogues are well done). So on the one hand you get excellent cut scenes, writing and music. On the other hand you get mediocre area design, boring quests and battles that drag on endlessly. The writing makes up for a lot, so I'll still rate this an 8, but I must say that the module was quite boring most of the time. So yeah, sorry this game wasn't to your liking. To be fair, it was released 10 years ago, when I was first learning the ins and outs of game design. Can't really argue with you on anything you've reported. Anyway, again, thanks for taking the time to play and leave comments. I will try the sequel. I finished playing the second part and it was much more fun than the first. The writing and the cut scenes got even better, the fights got more intersting for the most parts except when fighting the same monsters as in the first part like wolves, goblins and beetles, the area design changed from mediocre to good and there were more companions. Since I can only use full stars to rate, I'll give it ten stars now, though I'd say it is a 9.5. Some things could still be improved to make it a perfect 10. While the area design got better, it still doesn't make use of lighting and there are too few sounds. When I stand near a waterfall I expect to hear it. The same goes for rivers, lava streams, etc. The story though great could be a little less linear. This doesn't influence the vote, because it's just my personal taste, but at times the module is too "consoley" (I know that is not a word ) and the human opponents still talk far too much during fights. When after a long fight you move the mouse pointer over one of them to see if they are finally going to dye (damn, I made a typo here, but I'll leave it because it's funny) all you see is "I'll drink your blood!" or something like that. There were also a few minor bugs, some of them probably problems with the models, like Auden always running without moving when he should be standing somewhere. Also when Challseus was taken prisoner and should have been teleported away he was still standing there, but could not be talked to. One thing I was wondering was should I have gone back to the dungeon of summons later? When I finished the second level, Clopon told me that we were too weak to face the creatures on level three and we should leave, so I did that. Just a random thought which has nothing to do with rating this module: When that Seeker minogon appeared at the end of that suspension bridge, I half expected Challseus to say: "You shall not pass!" Yup, you were supposed to finish that dungeon off. I have left it as well and since there was no indication that I should go back.. and suddenly the module ended. Finally, with regards to the Dungeon of Summons (this goes to Werelynx as well), yes, you should have gone back before heading for the Danue Mountains . Clopon would have gotten a new robe and a new type of summon had you finished it. If I rememebr at the time, it was my way of trying to make the game a little more non-linear (that as well as being able to go back to Mathewin's cabin, or Raina's favor questline). Sorry you missed that, I wasn't sure of the best way to tell the player to check it out. In retrospect, I should have had Clopon stop Aramus at some point in the game and say something like, "Um, Guard? I hope you didn't forget about the 3rd floor of the Dungeon of Summons". Or you know, something like that. I wish this was continued for #3. It was, but on Dragon Age instead of NWN. Here's a link if you're interested. You need to subscribe to everything you want (i.e. this project) to have notifications. If it doesn't work, then above comments there should be: "Subscribe to this post." EDIT: you will also receive updates - i.e. when some tags are added. Still one of the best if you ask me. Loved it years back. ***Resolved the tlk file issue, found cep 1*** But I've got some missing armor/body parts are invisible.. I wonder if cep 2 conflicts with cep 1 and all the haks for ROE? Unfortunately, as this module was developed back in 2005/2006, it is only compatible with CEP 1.01, CEP 1.52, and CEP 1.53. I've never had CEP >= 2.0 installed on any machine I used to play the game (I recently replayed it last year with no issues), so I cannot say with certainty that CEP 2 conflicts in any way with CEP 1. Man, this is going way back for me... Is it possible to temporarily "disable" CEP 2 and see how the game works? Or is it still just a set of hak paks/tlks/etc. that get dumped into folders? CEP 1 and 2 don't conflict. The recommended version of CEP 1 is here. That should work for all modules, as it's backward compatible. Missing robes / cloaks etc can be a symptom of an nVidia driver bug, which is fixed by grabbing the latest driver from the nVidia site. Thanks for the assist, Proleric! Also, long time no see! Just finished Chapter 2 and I loved both modules. My compliments to Challseus! and the team for creating an immersive story. Kudos! Maybe you should crowdfund the next Chapter.